Providing equipment with third party safety approval is smart. When equipment includes a control panel, providing a UL panel is a simple low cost way to do it. UL Panels are third party safety approved so other third parties can easily approve them. A UL 508 panel shop can independently design and produce a UL panel. There’s an official UL 508A panel shop list. See below. Providing third party safety approval documentation with your equipment package makes it’s easier for other third parties to approve it. This is important when an Inspector must approve a new equipment installation before anyone can use it. How is a UL 508A label helpful ? Building Inspectors are delegated with the authority to determine, mandate, and enforce code requirements. In the National Electric Code (NEC) they are the Authority Having Jurisdiction (AHJ). They can Approve or Reject any new equipment installation in their jurisdiction using any reasoning they choose. They often use documented adherence to generally accepted safety standards to determine whether to Approve or Reject a new equipment installation. Building Inspectors generally Approve a new equipment installation when the control panel has a UL508A label because it certifies adherence to a generally accepted safety standard. What is a UL508A Panel ? Underwriters Laboratories (UL) is an independent testing company that provides product safety standards and third party product safety certification. A UL508A Panel is an electrical control panel with a UL508A Label. This certifies it meets the UL508 safety standard and was produced by panel shop with UL 508A certification. The “c” and “us” in the cULus Mark certifies adherence to safety standards for Canada and the United States. Canadian Standards Association (CSA) is an independent testing company similar to UL. Canadian projects will specify CSA certification, but in Canada the cULus Mark is the legal equivalent to the CSA Mark. What if an Inspector rejects my equipment ? If an Inspector rejects a new equipment installation, the questions is why. Is there a safety issue, or is your equipment missing documented adherence to a generally accepted safety standard. If adding a UL 508A Label to your control panel will satisfy the Building Inspector, you have options. Option 1 – Contact UL’s Field Evaluation Services at 877-854-3577. Tell them your situation and ask them to schedule a field evaluation. Cost will vary, but it will probably be more than $2,000. Option 2 – Contact a UL 508A Panel Shop near you. Tell them your situation and have them evaluate the work required to make your panel conform to the UL 508 standard. Give them your control panel so they can make it conform and apply a UL 508A label. Cost will vary, but it should be less than a UL Field Evaluation. Future – See Electrical Control Panel Builders can help. Select the best UL 508A Panel shop for you and have them start producing UL 508A Panels for you. Cost will vary, but it shouldn’t be more than a non UL Panel. What is a UL 508A Panel Shop ? UL 508A certification is a UL program that allows a panel shop to become a UL 508A Panel Shop. Initial and annual certification fees are ~$4K. 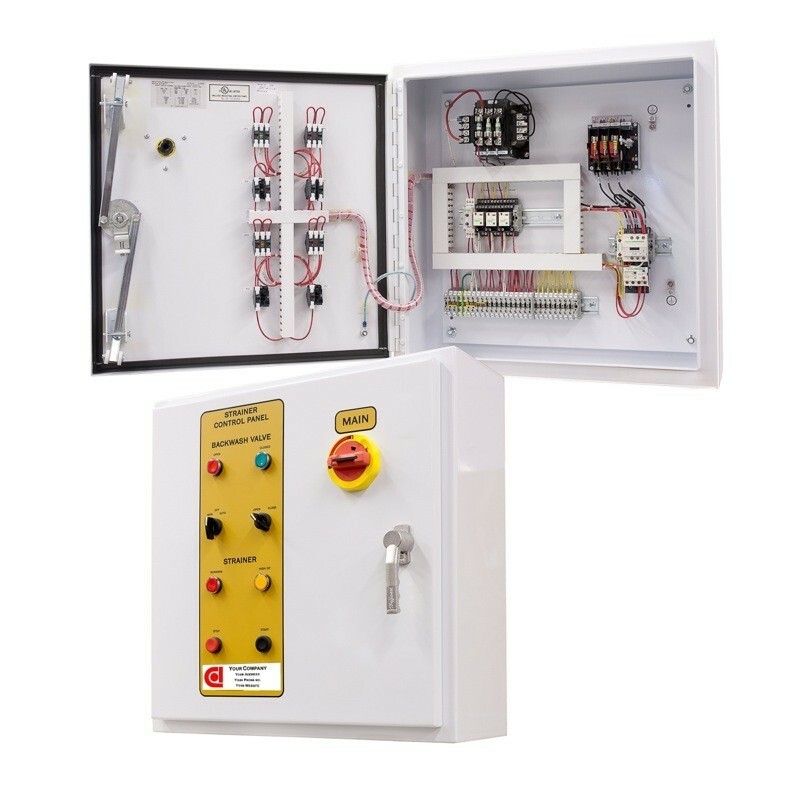 UL 508A certification allows a panel shop to independently design and produce UL 508A labeled panels certified to meet a known safety standard and traceable back to the panel shop. 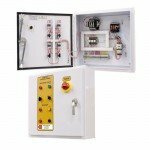 UL 508A provides safety certification for industrial control panels. UL698A provides safety certification for industrial control panels with intrinsically safe (IS) circuits. The UL 508A panel shop list can be found on the UL Product iQ database using the UL Category Control Nos listed below. Every UL Panel Shop is listed there. Click on this link UL Product iQ database with UL Category Control No NITW and practice by searching for our company. Each keyword; Name, Street Address, City, State, Zip Code will return different results. You may have to experiment if you’re searching for someone in your area. If you know their UL File No(s) enter them as keywords and go directly to their file. Ours are shown below.